The HTC One Mini 2 was announced late last night as HTC’s next semi-affordable phone to tackle mid-range international markets. 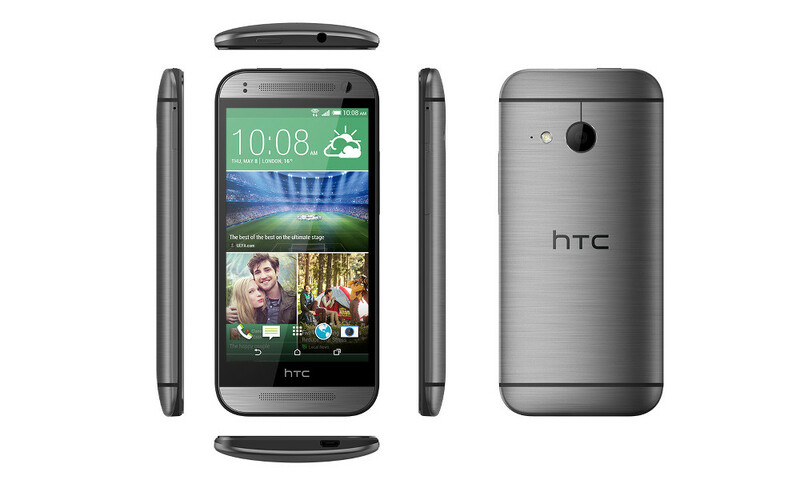 Like last year’s One Mini, it is a slimmed down version of the current HTC flagship – this time the One (M8) – that keeps a similar design without the high-end specs. It packs a 4.5-inch HD display, Snapdragon 400 processor, 1GB RAM, 2100mAh battery, and a 13MP camera. It also includes BoomSound front speakers, Sense 6.0, Android 4.4.2, and a design that really does look like a slightly smaller HTC One (M8).